Inflation continues its grind higher, as the Producer Price Index in June showed a 3.4% year-over-year increase, while consumer prices rose 2.9% during that same period. Only four months ago, we had headline Consumer Price Index (CPI) at 2.2%, and more market participants were concerned about a potential reversion to sub 2% inflation than the break higher we’ve seen recently. These data are entirely consistent with the forecast provided by the Underlying Inflation Gauge (UIG) published by the Federal Reserve Bank of New York. 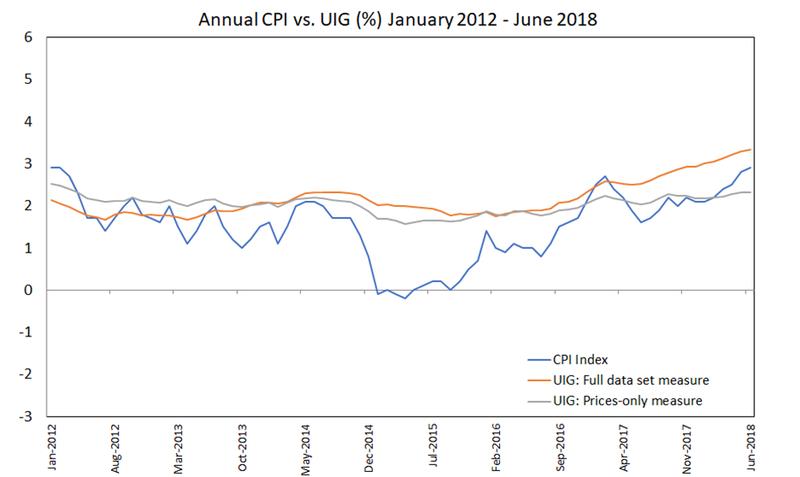 The UIG for June was recently released and revealed a forward expectation for inflation of 3.33%, which is its highest level in over 13 years. This also marks the 13th consecutive increase in this measure, for a cumulative rise of 83 basis points since May 2017. And there is absolutely nothing in the data to suggest that inflation will decline or abate in the coming months. Paradoxically, since our last update on this measure on May 14, while UIG has risen 12 basis points, long-term interest rates (>= 10-year) have fallen 14-18 basis points. 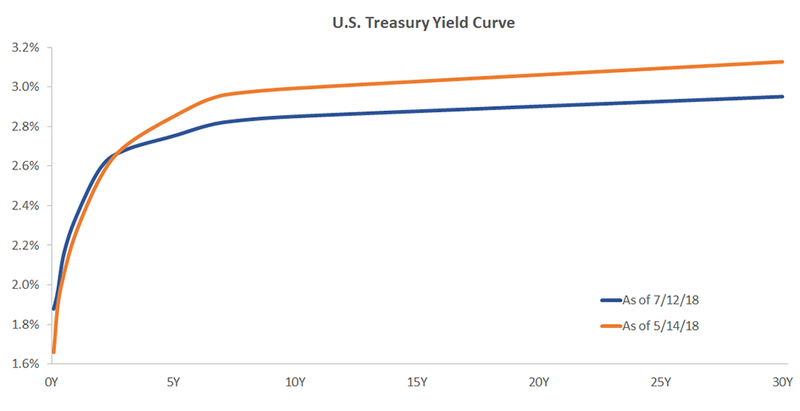 This brings back into focus the fears of an inverted yield curve, as we’ve seen 2-year interest rates rise 5 basis points over the same period. Further, inverted yield curves have generally presaged recessions by 18 months – but this is not a hard and fast rule. 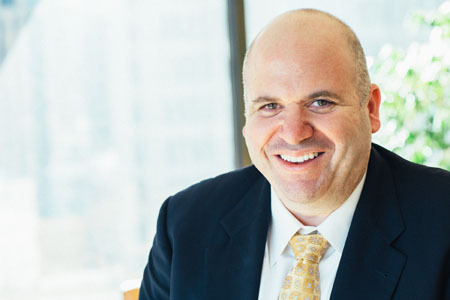 In fact, in most other circumstances where this has happened, interest rates were at least 150 basis points higher across the curve than they are today – we believe current rates to be relatively accommodative. One variable that is complicating the picture is the developing global trade war, which has investors worried about slower economic growth. It is important to consider that tariffs themselves are inflationary, as they artificially increase prices of a variety of goods. This is their primary effect. The secondary effect of an increase in prices is the reduction of demand and thus, some slowdown. Applying this logic to fixed income securities, a bond’s price is reflective of the net present value of a series of future cash flows that are discounted by the yield curve. If we have higher inflation, it should be assumed that the real value of these cash flows is diminished – perhaps some of this impact would be captured by real yields as demonstrated by Treasury Inflation Protected Securities (TIPS). However, with overall yields at depressed levels relative to forward inflation (as measured by UIG), we believe it is simply nominal rates that should capture this uptick in inflation (transitory through tariffs, or more lasting due to the continuation of our economic expansion if tariff threats abate) and reprice. In other words, if UIG is to be believed, then bond yields – especially for intermediate- and longer-maturity bonds, are simply too low at this point. In this environment, we continue to favor a portfolio of floating rate corporate notes paired with hedged fixed rate corporates and MBS. Spread widening in credit in May and June has created an opportunity to invest in high-quality corporate names. Mortgages have continued to deliver adequate hedge-adjusted returns, while we remain cautious on interest rates and thus our duration exposure. Within Treasuries, we favor TIPS over nominal Treasuries. Mutual fund investing involves risk. Principal loss is possible. Investments in debt securities typically decrease in value when interest rates rise. 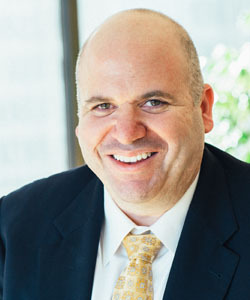 This risk is usually greater for longer-term debt securities.” to the blog post page. Since the content is limited and not fund specific therefore I will not require full detailed risk disclosure. The Producer Price Index (PPI) is a family of indexes that measures the average change over time in selling prices received by domestic producers of goods and services. The UIG captures sustained movements in inflation from information contained in a broad set of price, real activity, and financial data.